I taught high school history and social studies classes for thirty-five years. For almost all of those years I taught required 9th grade US history classes. Eventually I got pretty good at it. Each quarter one of the units involved the production of an essay that propounded a thesis, supported the thesis with evidence properly footnoted, and a conclusion flowing from the argument. Since these were 9th graders I supplied packets of primary and secondary sources for them to use although they were free to find other materials. Of the topics I gave them the most popular by far was the assassination of JFK. Since I used that subject year after year I became very familiar with the various conspiracy theories and the evidence (or, rather, the lack thereof) supporting them. There is really no reason to believe that Lee Harvey Oswald was not the only shooter that day in Dallas. All of the alternate theories were answered long ago and it requires a genuine unwillingness to consider the evidence to believe otherwise. Peter Jennings' ABC documentary (2003) effectively dealt with all of the questions regarding a second gunman or an alternate assassin firing from somewhere other than the Schoolbook Depository. 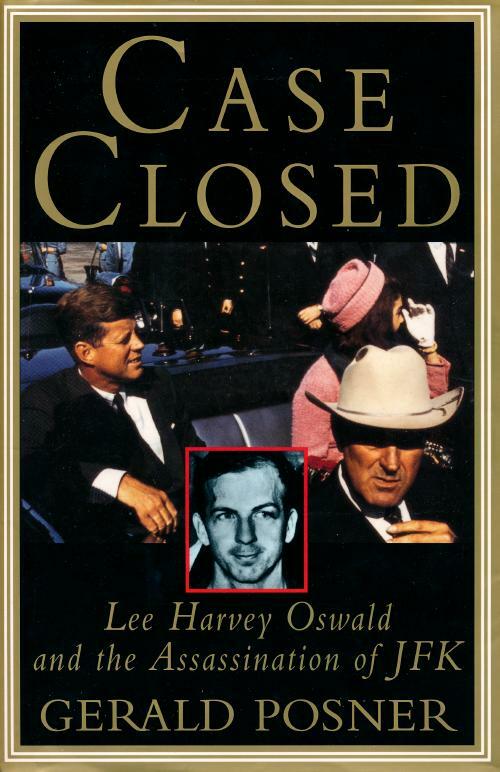 A thorough debunking of the various conspiracy theories can be found in Gerald Posner's Case Closed: Lee Harvey Oswald and the Assassination of JFK (1993). If your understanding of the issues is based on Oliver Stone's movie, look further. Like most of his films JFK is pretty good as a movie and pretty terrible as history. Farris Rookstool, a former FBI analyst who spent nine years reading 500,000 pages of documents in the bureau’s Kennedy collection, said the notion that Russia controlled Oswald was seductive but flawed. “I did the interviews with the KGB, the first FBI-authorised face-to-face meetings, and I can tell you they thought Oswald was just as crazy as we did. I don’t think they were trying to wash their hands of being involved with him but they were just being very candid. Oleg Nechiporenko [a KGB officer who also met Oswald in Mexico City] said they called him ‘the Tornado’ because he was spiralling out of control. “If you strip Oswald down and look at him as just a human, he had antisocial personality disorders, he had a childlike understanding of world history and he didn’t take orders very well. There are still people who believe Stanton had Lincoln assassinated or that Spain blew up the Maine in Havana harbor and there will always be people who think a professional assassin might have chosen an exposed position behind the wall of a public parking lot and fired over the heads of people lining a parade route.